Get your home finances under better control by refinancing your mortgage! We're sharing how you can refinance it despite rising mortgage rates. See how here. In March 2017, the U.S. Federal Reserve raised the central bank rate by 1%. Many experts said it was only the first of several rate hikes. Rising mortgage rates are a real concern for many homeowners. If you are looking to refinance your mortgage, do your homework. Being prepared could save you thousands of dollars each year. 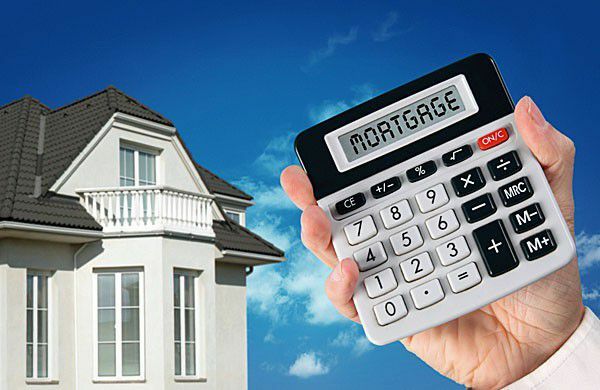 Do you think you can't influence what mortgage rate you get? Truth is, you can do more than you might think to get a favorable rate. The first thing you must do when refinancing your mortgage in a climate of rising mortgage rates is to decide how to act. If you delay refinancing your mortgage, you risk mortgage rates going higher. Most experts agree that loan and mortgage rates will rise throughout 2017 and 2018. Your FICO score is a critical factor in refinancing your mortgage. It's a measure of your creditworthiness based on data from the three national credit bureaus: Equifax, TransUnion, and Experian. The better your FICO score, the more likely you'll get a favorable interest rate on your mortgage. Each one of the credit bureaus offers ways for you to see your FICO score. Knowing your FICO score forearms you for mortgage refinancing discussions. It gives you a chance to correct any errors in the data (such as a paid loan that stills shows as outstanding). And, if you are behind on any loan payments, you can see the effect on your score. The information can help you make decisions to improve the situation. When you refinance a mortgage, you must decide if you want an adjustable rate (ARM) or fixed rate mortgage. Each has advantages. What those advantages are depends on your risk tolerance. And risk tolerance can change as life circumstances change. In a climate of rising mortgage rates, ARMs are lower than fixed rates for the same term. This means lower monthly payments -- for now. When rates go up, so too will your payments. Fixed rate mortgages are higher but they come with certainty. Payments won't change for the duration of the specified term. Take a current snapshot of your income and expenses. One or both might have changed in recent years. There are plenty of tools to help. If you expect major expenses during the term of the new mortgage (e.g. college tuition or healthcare), you might lower your monthly payments. Before sitting down to refinance your mortgage, you should know how much equity you have in your home. And, if you want to turn any of it into cash. Taking equity can influence the mortgage rate you are offered. Yes, the easiest route often means sticking with your current mortgage lender. But that isn't always the best choice. Like any business, mortgage lending is competitive. Lenders have different rates (and terms and conditions -- always read the fine print) so find what's best for you. In the digital era, comparison shopping is easy. Remember step 1: don't delay. Compare financial products, get your best mortgage and sleep well at night -- despite rising mortgage rates.